Oh, that's a good tip: we're not telling you to quit conventional marketing, okay? 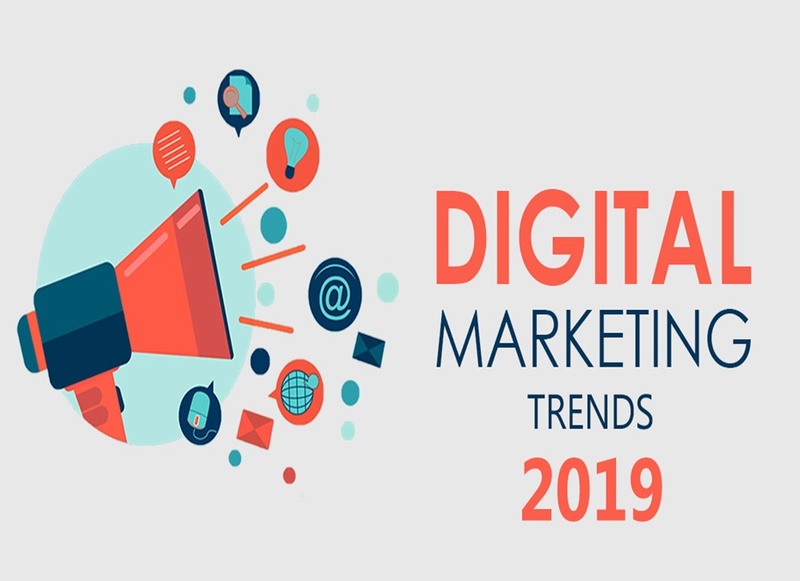 Digital marketing has to do with it too - it's an interaction of all channels available to you to get in touch with your customer and consolidate your brand. Based on this assumption, you need to create a digital marketing plan, where topics such as objectives and financial resources, target audience, standards, etc. should be well defined. If you have not yet considered being in the online world, know that you are missing out on a great chance to make your business thrive - and we are not talking about expectations, but reality. Exposure on social pages can make a lot of difference and sending an email marketing can reach people who are far away from you. Especially for small businesses, digital marketing opens doors to a new world, filled with business opportunities and the conquest of new markets - this is beyond logistics. Check out the top tips of Digital Marketing for next year! The email got "forgotten" for some time - but, it came back with everything and is still the most used form of the companies reach their customers. Email marketing is nothing more than a standard content that is sent to a large number of people (customers or prospects) at one go. Of course there are strategies for this ... The fact is that if you do not have an email list, you need to start thinking about it to use email marketing effectively. So you have to keep using them the right way. These networks allow the connection between company and customer directly. In the world of entrepreneurship , this is a form of digital marketing that most causes doubts in small business owners - after all, when to use them? Actually answering this question is not easy, but the best start is to consider the following items: objectives, plans, contents, updates, feedbacks. Oh, never forget to monitor your networks and social media. 3 - How is your blog? If you do not have a blog, you've started it wrong! You do not have to become the most famous blogger in the world - but you have to consider that this is a very interesting channel to become relevant in the search engines of the internet. The blog is where you will disclose important information on some topic. And in that case, you have to study ways to stay well ranked, that is, to appear on the front pages of Google, Yahoo, and other sites that are used as search engines for keywords or questions. If we're talking about digital marketing strategy, maybe that's the first term that comes to mind, right? Ads are a different form of advertising than traditional ads because they are not intended to sell initially. The central idea is to "catalyze traffic". In the simplest words, we can say that it will take people (potential customers) to your site - to buy the product or the service. 5 - The sales funnel - you need to understand more about it! Well, considering the Ads that will lead your potential customer to your site, what should you do? Show your product and tell the reader: buy it? Of course not! Nowadays, a lot is talked about sales funnel ... Which, being quite simplistic, works like a bait to attract the customer for the purchase. Want to see how it works? Your prospect has entered your website ... Now you should be able to think of ways to make you understand about the importance of your product to the life of it - without mentioning your product directly. And there are several ways to achieve this - it all depends on your digital marketing strategy. The fact is that the Sales Funnel has to be seriously thought out for 2019. Yes, this tip has everything to do with digital marketing. On the internet we cannot show products as happens in the supermarket pamphlets. The central idea has to be to sell the benefits and not simply the products. The customer's impression has to do with his satisfaction - this includes service, changes, improvements, competitive advantage and all the presence in the online community. 7 - Be present in the online world - always! If you are going to consider email marketing, do not go thinking that just send an image there and ready - the magic is done. None of this. Both in this option and in social networks, blog and anywhere, the company needs to be present. This has to do with defending the brand and knowing how to deal with what is happening in the digital world. Respond quickly, have interesting subjects and show content, always! Even if your company is not so recognized initially, know that its quality will be seen during its disclosures. These are two networks that are based on images. Both are free and often have many followers. The platforms are already used by cafes, restaurants and shops of all kinds. But not every entrepreneur considers this option - even if it should. Even with the advancement of technology, the press is still a good way to get your company out. Include communications on these sites or even the more traditional part of the media as a form of marketing. Nowadays there are several tools for the online sending of releases and releases. For everything to work out ... Only one thing is missing! With these 9 tips listed above, your company will be inserted in the market through digital marketing ... Only that there is an observation to be made. How to ensure that your financial investments in this area are being used well? If you have equity, applying on projects is easy, but making sure they are being leveraged in the best way is difficult. The best advice is one that says you need to audit accounts, only this way you will be able to find ways to optimize your resources and minimize possible errors. Auditing accounts, in this case, is the icing on the cake. It is she who will tell you whether your business is going the right way, the way to success. Think about it. Thanks Kevin for giving time to read this article and giving your valuable view.